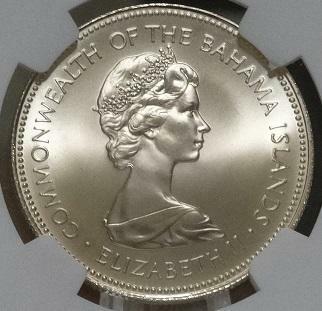 The Bahamas Mint State silver coins had a relatively short lifespan. There are just 6 years of these issues with quite limited mintages ( it is a smallish island nation so 10's of millions would have made no sense.) The first issue was in 1966 with your 8 coin sets and the 50c, $1, $2 and $5 coins being silver. The $5 coin has an ASW of almost 1.3 oz's and the $2 coins are well above the silver content of the US silver dollar, so these are large and heavy silver coins. 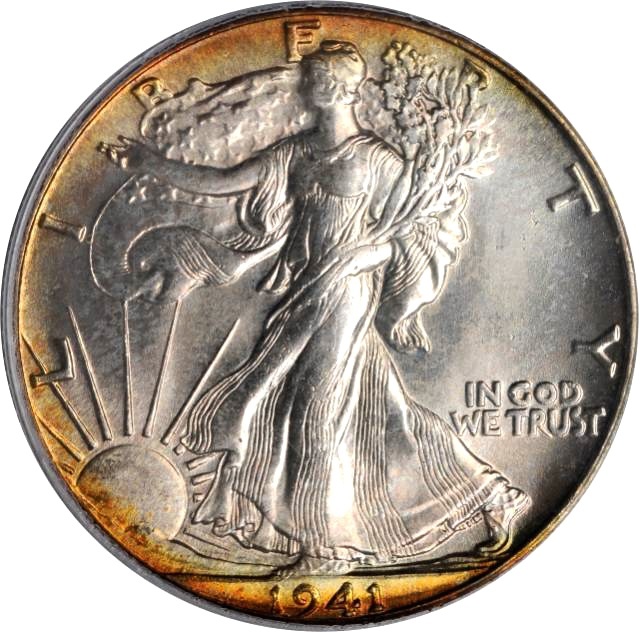 After the 1966 issue, no new sets were made until 1969 and then they were produced yearly for 1969, 1970, 1971, 1972 and 1973--after 1973, only the proof sets contained the 4 large silver coins ( and some SP sets and commems also were silver) but the mint sets had switched to cuni and alloys. I started collecting these coins originally because of the beautiful designs and the fact that I could sometimes even snag them below silver cost as it seemed 10+ years ago that not many people realized the ASW of nearly 3 oz's in each mint set. I have also fallen in love with the finish of these coins which appear almost burnished- containing an "inner glow" as they have a simmering sort of shine which does not reflect as much or cartwheel like the very light reflective silver. Who knows, maybe they are burnished in some part of production-much like the burnished silver eagles which have the planchettes spun in a tumbler with fine sand or tiny metal beads. 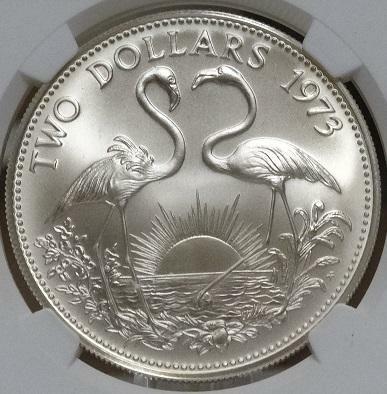 Anyhow, with the wonderful additions of the 1971 "Dancing Marlin" 50c and the 1973 "Flamingos at sunrise" $2 coin, I have now completed 2 more sets. I recently got some free photography lights so I may try and improve my pics ( or at least make them all uniform.) now that the sets are done--and with just 12 coins to photo/crop/size it won't be too big of a project. 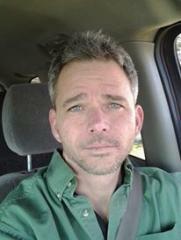 Here are the pics, what do you think? Burnished finish? 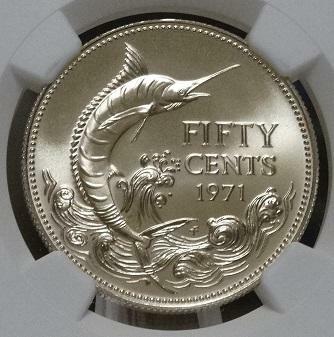 I also have one of the 2 Flamingo coins that was burnished and graded on submission at MS-69. 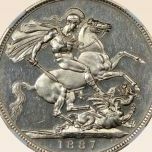 However, unlike yours mine is the 1974 struck in cuni with the coat of arms on the obverse rather than the queen. 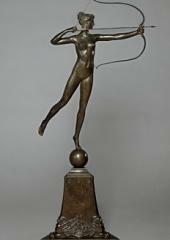 Regardless, I'm with you I love the burnished finish on any metal it is struck. (That said, silver is much better than cuni)! It looks like yours like mine was also struck at the Franklin Mint. The camera I got on ebay for about 1/3rd its cost as new...Sony DSC-HX300 also says cybershot and AVC HD and has 50x optical zoom which is great for the fine details of a coin or for imaging the craters on a full moon........I'm not much educated on the nuances of photography so I credit the camera for most of the quality of my pics. 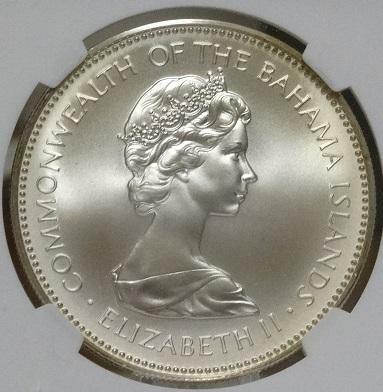 Gary--in 1973 the Bahamas claimed their independence so starting in 1974 their coinage began with a new coat of arms on the obverses--I have a large 1.5 oz "Independence" $10 coin silver coin dated 1973 which has a large , wooden ship as the sole theme...nice coin if you can find one--sometimes around melt value. Beautiful coins! Great photos too!